LinkedIn used to be a great channel to publish articles. Is it still? There have been several changes in the way that LinkedIn displays articles published through its platform. 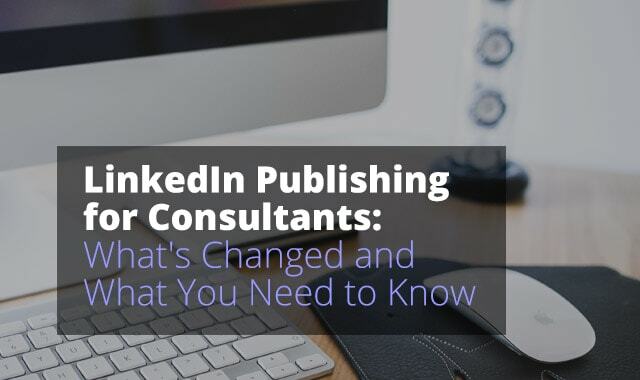 While LinkedIn remains one of the most powerful platforms for consultants to showcase their expertise, build relationships and connect with ideal consulting clients – things have changed. It used to be fairly easy and straightforward to publish an article on LinkedIn, and if it got enough engagement (mainly likes and comments) within a short period of time your article would get featured in LinkedIn Pulse. Pulse is LinkedIn’s main content hub where they aggregate and display popular articles alongside articles by LinkedIn Influencers. Influencers are a select group of people on the platform that have an established brand or following – and that LinkedIn believes are authorities. This isn’t always the case – but like all social media – not everything you see is as real as it first appears. If you want many people to see your content, they want you to pay for ads to promote it. When an article you published on LinkedIn made it to Pulse you’d almost instantly see the views, likes, shares and comments skyrocket. You could go from a couple hundred views to thousands, even tens or hundreds of thousands. It is now much more difficult to get your article included in Pulse. In fact, LinkedIn seems to be going the direction of Facebook. Where before, even if your article didn’t make it to Pulse, you could expect a few hundred views to your article if you did some promotion and had a strong following. Now, even that doesn’t seem to be the case. We’ve seen articles get 50 or 60 views, even when publishing with more followers and more connections than before. Well, don’t rely on LinkedIn to promote your articles. In fact, as a consultant you shouldn’t rely on anyone. If you want to have a sustainable and thriving business YOU must take control and not rely on anyone channel or website. If you weren’t doing this before make sure you are now. While your article may not get significant views, the more content you publish on your blog the more likely it is to come up in relevant search results. This allows you to build an audience and get more traffic to your site. Make sure you’re sharing your articles into relevant LinkedIn groups. Make sure it’s relevant to the group. When posting ask for feedback or a question to get people to engage. Share your article from LinkedIn in your own updates. Don’t just do this once. Do it several times over a period of a week. When you post an update, or even publish the article, most people you’re connected with won’t see it. The more times you share an update the more likely people will be to see it. You can share and promote your LinkedIn article on Facebook, Google+, Twitter and any other group, forum, or SM channel you use. When you do this you can tag @LinkedIn and @LinkedInPulse which MAY get the attention of the editors who might, just might, be more likely to share your content in Pulse. If you have a list of readers and subscribers share it with them. This is a great way to boost your visibility and share the content with people interested in your content. When they come to your LinkedIn article they now have the option to share, like and comment – the more they do that, the more likely it is that their own connections will see your article and engage with it. This can become a viral loop. Another tactic that can work very well, if you know how to do it properly, is to run Facebook or LinkedIn ads to your article. This costs, and can cost a lot if you don’t manage the ads or set them up correctly, but it’s an almost instant way to share your content with hundreds to millions of people. Why not go direct? If you have an article that is very valuable and educational you can reach out to the LinkedIn editorial team directly and ask them to include your article in Pulse. You may not get a response, but it’s always worth a try. I’m not going to publish any editorial team members email here. But you can hustle to find, connect and build a relationship with them. Beyond publishing your articles on LinkedIn and your own blog there are many other authority sites and blogs for every industry. Find yours and connect with the owner/editor to see if they’ll publish your content there. Mike, I started publishing in LinkedIn in end Jan 2017 and have published 70 articles so far, of which 16 have been featured by LinkedIn. Am I doing something right or is this below par? Would love to hear your thoughts. @badrirag64:disqus that’s great LI has featured many of your articles. Far more important than views or likes is the impact your articles are having. 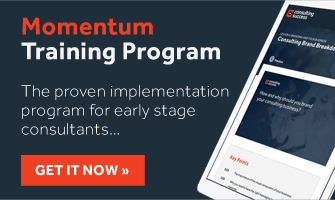 Are you getting more leads and inquiries? More conversations with ideal clients? Are you seeing a positive impact from them? That’s what I’d focus on. Mike, you had suggested blogging on my own website. Will that hurt the chances of getting the post featured on LI if republished on LI?